Use a video to give your crowdfunding campaign a boost. DonateMySchool have recently partnered with FundEd – who offer their members a time-saving toolkit for School Business Managers, featuring a comprehensive range of proven income generation solutions, including crowdfunding. FundEd equips you with the tools you need to raise funds quickly, develop new fundraising skills, and build resilience for the future. Campaigns that include a video have proven to be significantly more successful than those without, but where do you start? Video production expert James Rostance walks us through the process. A video can get across your passion for your project and hook potential investors like nothing else, so don’t be put off by the extra work. Indeed, use your crowdfunding campaign as an exciting learning exercise, engaging pupils with the task of compiling your video and preparing other marketing materials. Children can be adorable on film, so use them centre stage if you can – especially if they’re the main beneficiaries of your project. Gather your team together and appoint someone to act as the ‘director’ who will oversee the whole process. Brainstorm your value proposition: what makes your project attractive to potential investors; what are you hoping to achieve and why; what skills do you have to draw on and how will your project be delivered, and by whom? The ideal length for a crowdfunding video is between three and three-and-a-half minutes. Be aware that it is primarily a sales and marketing tool. You want to interest people in your project – tell them what you want to achieve and let them know what’s in it for them. Often the best way to do this is by appealing to the viewer’s emotions. People lead busy lives and won’t want to get bogged down in too much detail, so focus on selling the excitement around your project. Once a person is hooked they will be prepared to spend more time reading the detail. Your video should be driven by a strong script. 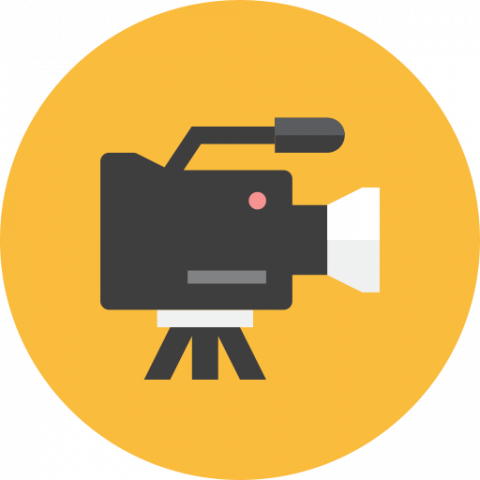 As a rough guide, you’ll get three words per second on screen, so aim for 500 words for a three-minute video, including pauses. Attention: Grab the attention of prospective investors. Interest: Provide a reason to act. Desire: Create the wish to act. It could be the desire to receive a reward or simply to be altruistic. Conviction: Reassure investors that you can deliver the project, and avoid ambiguity at all costs. Action: Be very specific and tell people exactly what to do next and what the time frame is. Keep your script short and to the point. Give the audience a chance to digest what you’re saying. Strike the right tone. Write the script as if you’re writing an email to a colleague you know well. Use humour with care as it’s subjective – focus instead on the goal and leave comedy to the professionals. Build the idea of sharing early. If a viewer can’t contribute this time, perhaps they can help by sharing your video on social media. Spend some time developing and refining the concept then review it with your team to reach a consensus. When you’re happy with the script, plan a storyboard. You can use a plain piece of paper or download a template from the Internet. The aim is to make a visual representation of your shots to accompany the script. Not good at drawing? Just use words and write notes of how each shot will look. As a rough guide each shot should last for three to six seconds and cover 15 words of the script. If you’re using an interview it would be useful to shoot what is known as B-roll footage. You can then use these action shots to provide extra, visual information alongside the audio track. It’s certainly possible to shoot an effective crowdfunding video yourself using domestic equipment such as a home video camera or iPhone. Ask around to see if anyone in the school, or a parent, works in the industry or is a keen amateur. If you’re hoping to raise a substantial amount of money for a major project and you have some money to spend then you should consider paying a professional cameraperson to do your shoot. You’ll probably only get one chance at filming and you want to get the very best shots possible with clear audio so people don’t struggle to hear your message. shoot in landscape format; use the best-quality camera you have access to and set it on the highest quality setting available; get an external microphone (good sound quality can make or break a video); use a tripod; be careful with zooming and panning – slow and sure is the rule. The ‘director’ is responsible for making sure all the shots have been completed and they should work from the storyboard to achieve this as you probably won’t shoot everything in order. Most schools will have access to some kind of video-editing software. We use Final Cut Pro on a Mac but you can use iMovie or a PC equivalent. This is a good place to let pupils experiment as editing can be done again and again until you get a finished product you’re proud of. Use the storyboard as a guide and edit the footage accordingly. Avoid terrible transitions! A one second dissolve or a straight cut is enough. Be understated and stylish – the editing shouldn’t distract the viewer from your message. You might think that Adele track you love is perfect but those tunes are copyrighted and you won’t be able to use them. Royalty-free music sites offer music for a one-off fee and the licence is in perpetuity. Try Premium Beat. The final product should look professional but informal. Think about the image the school already projects. Do you have any marketing material such as a prospectus, website or newsletter that can guide you? Follow that branding in terms of key values and any graphics you use. Keep it consistent! You can upload your video to either Vimeo or YouTube. I would recommend Vimeo because if offers the option to end on a blank screen, whereas YouTube always shows other recommended videos and pop-up ads. Once you’ve made the perfect video you need to get it out into the world, so share, share, share! Encourage interested parties to visit your crowdfunding page by sharing the link on your website, in emails and through social media. Don’t shy away from publicising your campaign – you need to drive as much traffic to your page as possible. If you’ve done a good job creating your campaign then the more exposure you can generate, the more people will be inspired to donate! Ready to start your own campaign? Click here to register on DonateMySchool.com. If you have any more questions then take a look at our Frequently Asked Questions section here. Previous PostPrevious Why your PTA should try crowdfunding!